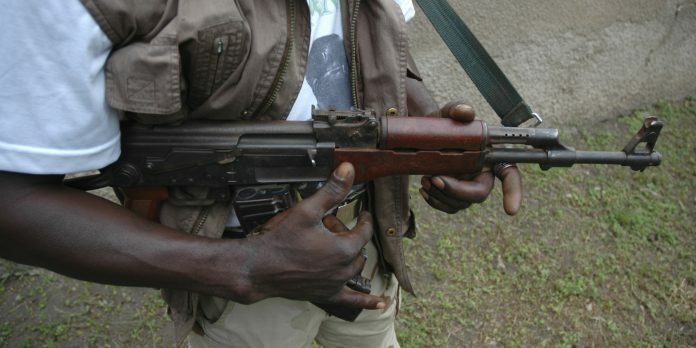 The gunmen, who shot into the air, caused panic in the capital city as residents fled in various directions, the News Agency of Nigeria reports. 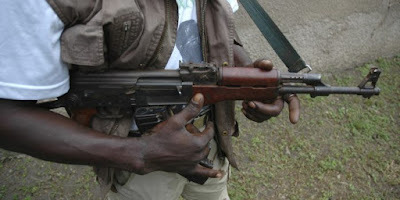 The courts the gunmen invaded included Benue State High Court 9, Chief Magistrate’s Court and the Upper Area Court. An eyewitness told our correspondent that the gunmen stormed the premises of the three courts which were about 500 meters away from state police headquarters around 8am. It was gathered at the Benue State High Court 9 that the Presiding Judge, Justice Mary Abounu, who is the wife of deputy governor, was already seated when the gunmen stormed her court and held her and the people in her court hostage. “Actually, the first court the hoodlums visited was the Magistrate’s Court 1. They broke into the courtroom and the chambers, where they carted away one computer, a printer, a generator as well as files for various cases,” said Mr. Isaac Ajim, a magistrate. It was also gathered that the criminals after they had wreaked havoc, locked the courtrooms with the padlocks they brought with them. Confirming the invasion, the Attorney General and Commissioner for Justice, Michael Gusa, who condemned the act, appealed to youths to always engage in meaningful ventures rather than indulge into criminality. Gusa also urged Benue State youths to embrace the amnesty programme of the state governor instead of engaging in criminal activities. He, however, assured that the perpetrators of the act would be fished out and punished appropriately. Confirming the incident, the state Police Public Relations Officer, Moses Yamu, said three security guards had already been invited for interrogation. He assured that the culprits would be arrested and made to face the wrath of the law.